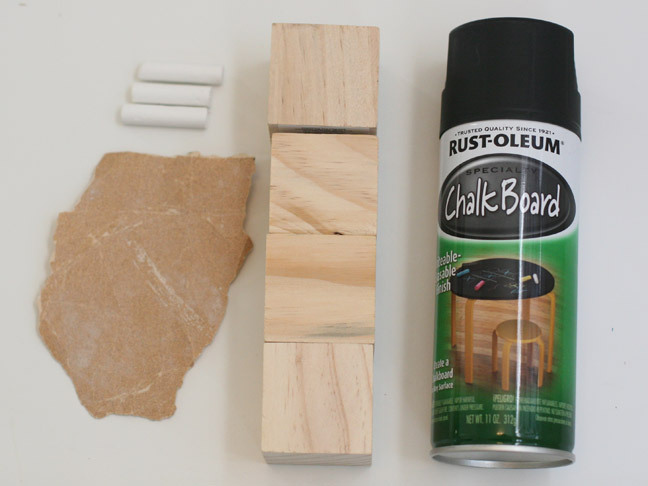 This easy DIY chalkboard block puzzle makes a fun activity for kids or a great DIY gift for kids. 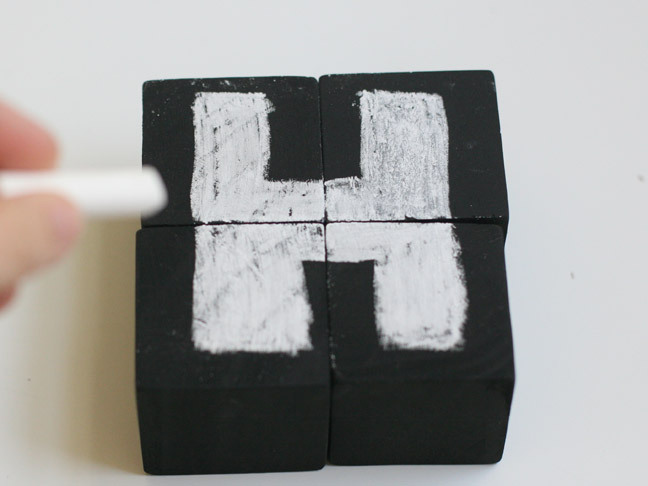 It’s a fun combination of three things my son loves: blocks, chalk and puzzles! Because kids or adults can draw anything they want on the puzzles, it makes a great gift and project for any kid—even artistic adults. 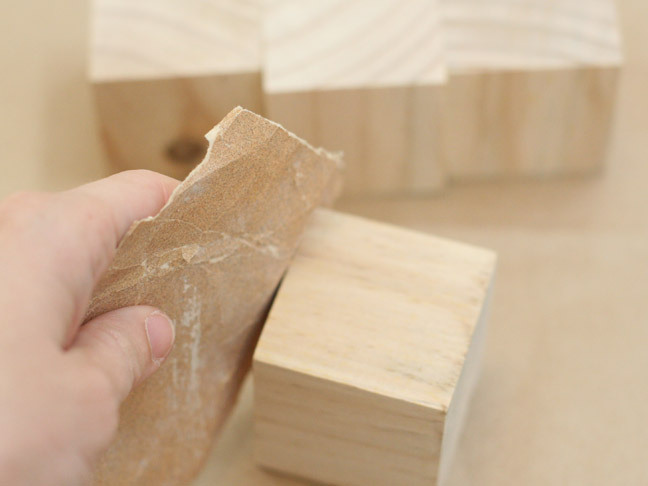 Step 1: Use the sandpaper to sand all four blocks to smooth the corners and edges. 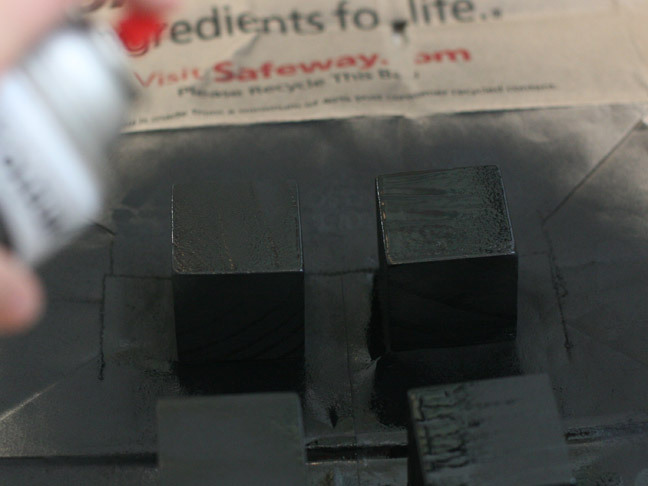 Step 2: In a well ventilated area, coat the four blocks with chalkboard paint. The spray is a much easier form than the brush-on version. Spray all the exposed sides you can, then wait an hour or two to flip them over and finish the bottom. Step 3: When completely dry, move the blocks into a square as perfectly together as possible. 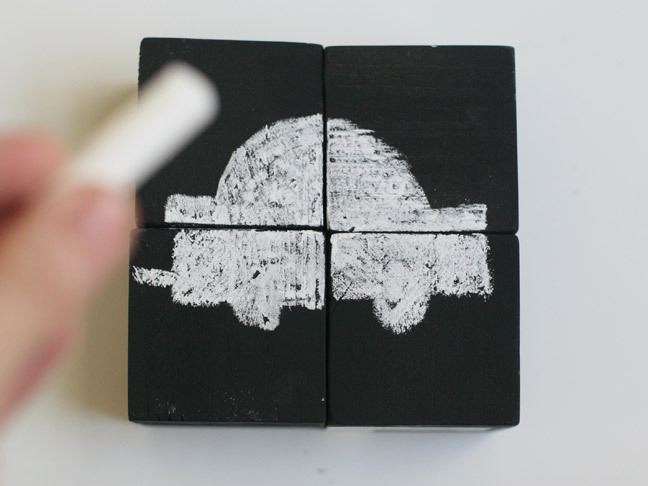 You can draw an image now with the chalk. Keep in mind that it will be a puzzle for the child to put together, so keep the drawing very simple. You can also do the child’s initial. 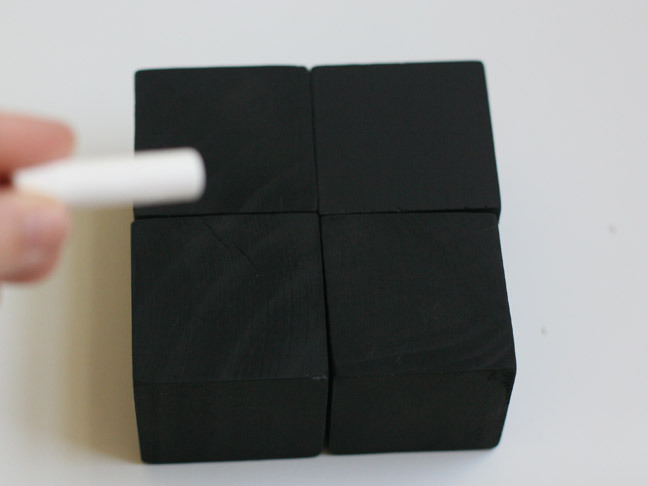 Either way, if you’re giving it as a gift it’s a good idea to show them an example of what they can do with their chalkboard block puzzle. 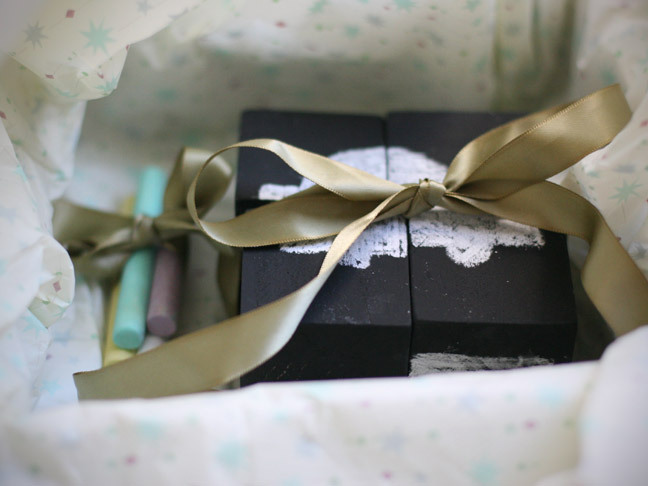 When gifting, draw an image on the blocks and include some colorful chalk as well for them to get started.